A fast and simple way to clear unwanted ferrous waste (eg. screws, nuts, bolts) – this sweeper is perfect for smaller spaces and is an efficient cleaning tool. 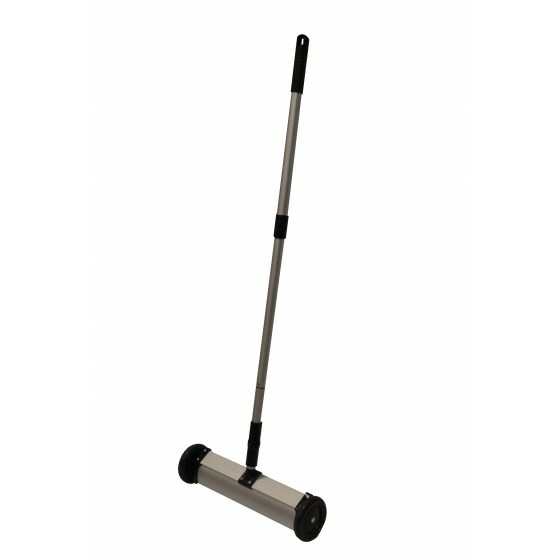 The telescopic handle means you can clear hard to reach areas with ease. Debris is released with a simple pull mechanism. Very fine debris may remain on the sweeper, but can be removed with a wipe. A fast and simple way to clear unwanted ferrous waste (eg. screws, nuts, bolts) – this sweeper is perfect for smaller spaces and is an efficient cleaning tool. The mtelescopic handle means you can clear hard to reach areas with ease.